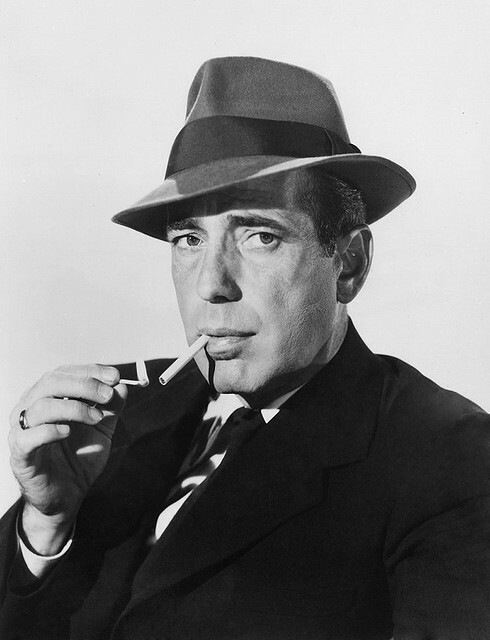 In the John Huston film of the Dashiell Hammett novel, The Maltese Falcon, Humphrey Bogart (Sam Spade) says, “When you’re slapped, you’ll take it and like it.” Not likely if the SLAPP you get is a Strategic Lawsuit against Public Participation — commonly known as a SLAPP suit. The Bill of Rights in the U.S. Constitution gives all of us the right to participate in our government by speaking freely on public issues, and asking government officials for redress of any grievance. Over the past few years, however, there has been a dramatic rise in litigation against individuals and community groups who exercise these constitutional rights in ways that businesses don’t like. It started when environmental rights groups became the targets of costly legal actions by developers whose projects were being held up by protesters – but it’s moved far beyond that. Sometimes it’s hard to tell when a suit is really a SLAPP suit, instead of simply a claim for damages over something you said. One hallmark of a SLAPP suit is that (unlike most lawsuits) they may be filed when the lawyer and person or company filing them are well aware that they can’t win if the case actually goes to court. A SLAPP suit is as the legal equivalent of a “first strike” campaign. All they want is to cost the defendant enough money, hassles, and time that they will back down and stop doing whatever it is that annoys the plaintiff. It works more often than not, because defending against a SLAPP suit can be very costly. Of course, you can’t assume that the person suing you won’t press for damages. Even experienced lawyers can’t know how a case will turn out, but they can tell you whether the allegations against you are likely to result in damages such as the plaintiff’s legal fees, court costs, or damages if you lose. In general — and this is highly subjective — in very public issues, money seldom changes hands, but when private businesses sue individuals or other companies, the stakes and costs go up. So if your animal rights group pickets a fur store carrying signs that say “I’d rather go naked than wear fur”, and the owner sues an officer of the group for interfering with his business, you may have a better defense (assuming no property was damaged, and you obeyed local laws about staying on public property) than if you posted comments all over the internet saying “Betty Beautician butchered my hair — don’t let her do it to you. Stay away from Betty’s scissors!” after a bad haircut. The woman who was bemoaning her situation to her mother-in-law at the restaurant the other night had published what she asserted was a “100% accurate” review of work done on her home by a contractor. The shock of being sued for “just telling her side of it” was plain in her voice. His terms were straightforward: removal of the offending content, a written apology acknowledging that the plaintiff had done nothing wrong and that the original content was not accurate, and an agreement not to discuss the incident further in any medium. I recently ran into a situation that certainly sounds like contract interference. A woman posted a review that began with the phrase from Lost in Space: “Danger, Will Robinson! Beware of this contractor!” If she gets sued, a settlement seems like a good idea to me. I have no idea what the review posted by the woman at the next table was like, so as the family got up to leave, I admitted that I had overheard part of their conversation. Since she lived in the Bay Area, I suggested that she contact The First Amendment Project, a Berkeley, California not-for-profit law firm that helps Californians who have First Amendment issues. Unfortunately, there aren’t nearly enough public interest law firms to handle the growing tide of SLAPP suits. So what do you do if you get SLAPPed, and you don’t have $20K lying around to hire good legal representation? 1. Don’t panic. Most people who file SLAPP suits just want you to go away and stop doing what you’re doing. Pick your battles, and decide whether or not you want to fight or settle as cheaply as possible. 2. Read the notice or complaint carefully. A lot of times a lawyer will write a letter offering a series of “options” to resolving the matter before a lawsuit is actually filed. (Monetary damages, a public apology, your agreement not to talk about this matter anymore, your agreement not to sue the SLAPP filer or some combination of these or other items might be among the options.) A demand letter is NOT a lawsuit. But don’t ignore it – action is still required. In most jurisdictions, there is no requirement to send a demand letter before filing suit. So you might find out that you’ve been slapped when you are served with a summons and complaint at home or at work. A complaint lists the specific “wrongs” you are alleged to have committed against the plaintiff, and includes the specific legal jargon that defines what is being claimed. Look for words like “interference with contract”, “tortious interference”, “libel”, “slander”, and “misrepresentation”. There are other claims, but these are the ones I’ve seen most often. A summons is a notice telling you that you have been sued. It will give a deadline (usually 30 days, but it can be less than that in some states). You must file a formal response to the complaint with the court by the date on the summons – or the case may be decided against you, and you may be ordered to pay damages without any further notice. 3. Whether you get a demand letter or a summons and complaint, you will need an attorney. Don’t wait until the last minute. It takes time to get an appointment with a legal clinic or public interest law firm (if there is one in your area), and it takes time for an attorney to review the matter and try to resolve it or prepare to fight. Ask the attorney if he will consider representing you on a contingent fee basis, by filing a SLAPPback suit. This is a counter-suit you file for damages you suffered by becoming a target of the plaintiff’s baseless suit. Most lawyers require payment for their services, though, and only a few specific situations will warrant a SLAPPback suit. But shop around – and don’t be afraid to talk about money with the attorney. Legal fees are sometimes negotiable, and most attorneys will refer you to a lower-cost attorney they respect if you can’t afford their fees. 4. Check to see whether your insurance covers the alleged actions. If the alleged wrongdoing occurred when you spoke on behalf of a group, check to see if their insurance covers officers. (I verify that organizations have insurance to protect officers, employees, and volunteers before I accept an invitation to sit on a volunteer board or commission; and I have regretfully learned to just say “no” when asked to serve for a group that does not have such insurance.) Your homeowner’s insurance might cover you for some actions, and you might also be covered through a professional organization or trade group. If you do have coverage, let the insurance company handle it. They will defend you to avoid paying damages or negotiate a settlement, and they have attorneys who know what they’re doing. If you’re a professional blogger, who earns money from your blog, or a professional writer, give serious consideration to purchasing errors & omissions (E&O) insurance that will cover you for alleged libel, slander, defamation and so on. It can be expensive, but if you do get sued, it’s well worth it. Disclaimer: I am NOT a lawyer; nothing in this post or any other can substitute for specific advice on your situation from a competent attorney. *Some of the details of the conversation I overheard have been changed to protect the person I met that night. Gallery | This entry was posted in Uncategorized and tagged blogger rights, blogging law, contract interference, Deb McAlister, First Amendment, Humphrey Bogart, libel, Maltese Falcon, Sam Spade, slander, SLAPP, SLAPP suit, Slimed Online, tortious interference. Bookmark the permalink.